This aerial view shows the Southern end of the Park. 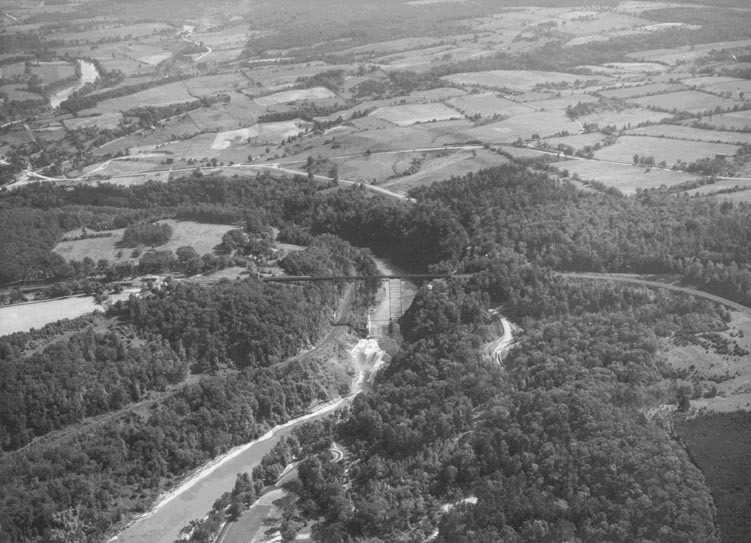 The Erie Railroad Bridge and the upper Falls are in the center of the photograph, and parts of Portageville can be seen on the upper left. The line of the Pennsylvania R.R. can also be seen running under the Bridge. If you look close, you can see several structures on the eastern (left) end of the Portage bridge including the Portage Station and the Cascade House. Thanks to Gert Hall of Caneadea for sending us this photograph!